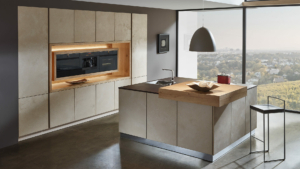 “As a manufacturer of high-quality kitchen furniture, we offer our dealers an excellent set of products with which they can individually design the dream kitchens of our joint customers. 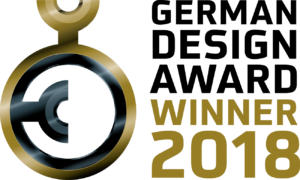 We applied for the GERMAN DESIGN AWARD together with our trading partner DIE WOHNVIERTLER. Company owner Markus Wiesinger has presented our model TESSA in the best possible light with his design-oriented planning. Together, we are proud of the result and the award. The German Design Award is the international premium prize of the German Design Council. Its aim: to discover, present and reward unique design trends. This is why top-class submissions from product and communication design are awarded prizes every year, all of which in their own way lead the way in the international design landscape. The German Design Award, initiated in 2012, is one of the most recognized design competitions worldwide and enjoys a high reputation far beyond the specialist circles. All awards will be determined during a two-day jury session. The jury for the German Design Award 2018 is made up of design connoisseurs from business, education and science as well as the design industry. All members of the jury are recognised capacities in their fields. Valuable and natural materials are very popular at Sachsenküchen. The model TESSA makes this very clear. The sand-coloured fronts with a stone spatula surface make an impression and form the perfect frame for the appliance niche made of solid oak wood. Double-framed and galantly illuminated, it seems to float in the middle of the kitchenette. The appearance is rounded off by the cooking island in the foreground, which is also encased in Stone. Thinking beyond lifestyles… SAVE THE DATE!